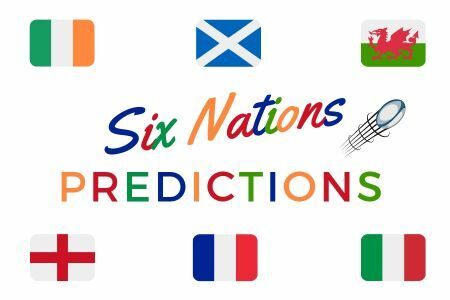 Rugby is a much-loved part of life at Oakham and given the School has such a high number of students and alumni who achieve great things on the pitch, we asked a selection of our rugby aficionados for their predictions for this year’s Six Nations Tournament, ahead of this weekend’s opening matches. Hamish Watson, Old Oakhamian (10) and member of Scotland’s current side (sadly ruled out of this year’s competition due to injury) has gone so far as to predict the scores for the opening matches: France to win against Wales 22-16, Scotland to beat Italy 34-17 and England to beat Ireland 16-10. · “England: Billy Vunipola – how we’ve missed his impact. · Ireland: Conor Murray – can he steer Ireland to a Grand Slam? · Scotland: Finn Russell – off the back of excellent form; he leads Scotland’s blistering attack. · Wales: In the absence of Warburton (retired), can Tipuric finally step up to the #1 7? · Italy: Parisse – in his last Six Nations competition, he will be looking to end on a bang (drop goal winner predicted). As far as this weekend’s winners are concerned, Headmaster Nigel Lashbrook says: “I would go for England, France and Scotland.” Meanwhile current pupil Sam, who will be playing for Wales in Sunday’s U20 Six Nations opener, has picked Wales, Scotland and Ireland as this weekend’s winning sides. Beyond this weekend, below are some predictions on the final order. Let’s see how they get on!